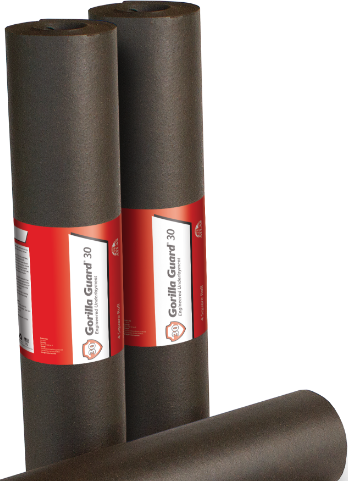 Gorilla Guard® 30 and Gorilla Guard® SPEC 30 are designed to outperform traditional felt roof underlayment by combining specially developed additives with glass fibers. 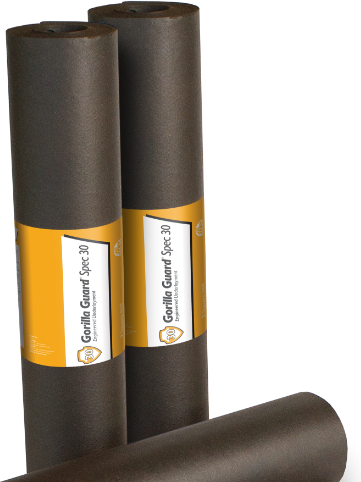 The advanced substrates in the Gorilla Guard® line allow the underlayment to lay flatter, resist wrinkling and reduce slippage. It’s tougher and more resilient, yet easy to handle for a smooth application. The superior quality, time and labor saved by using Atlas engineered underlayment encourages more contractors to offer it to customers as a standard product rather than as an upgrade to traditional felt.